Coming to the end of a fixed term lease can be considered quite stressful as there are many things to consider… I’m here to tell you that it doesn’t have to be. Not only is the end of the lease a time to check in with the existing tenant before they make their choice to move or stay, but it’s also a fantastic opportunity to re-evaluate your property investment strategy and take a closer look at your future plans. 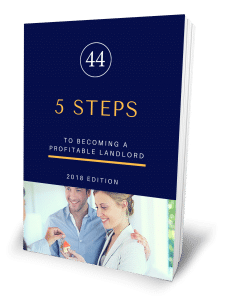 Firstly, you may want to consider whether you want the tenant to stay on at all, especially if you are considering moving into the home shortly or have not been happy with the tenant. Secondly, each state requires different notice periods, but usually the 14-day rule applies if you wish to re-advertise your property for rent. Your property manager should be proactively seeking a response from the tenant well ahead of the lease expiry – at least 1-2 months, otherwise, they will move onto a periodic lease if a new agreement has not been signed. At the end of the fixed term lease, there is an exit inspection conducted. If the tenant is vacating, this will be a thorough inspection with the use of the condition report to determine whether anything has been damaged or altered beyond standard wear and tear. However, even if the tenant is not leaving the property, your property manager should undertake a routine inspection. If there’s anything you are particularly concerned about or want to double check, now is the time to ask to have it looked at. You may also consider this a worthwhile check to make sure the tenant has looked after the property well, so if they do apply for another fixed term lease you can make an educated decision. If your property is outdated or in need of some renovations, perhaps even as part of your strategy, you would be wise to consider this between tenancies rather than during one. Renovating when the property is vacant is easier, however it is possible to negotiate access and mutually agreeable circumstances with a tenant whilst in contract. Speak to your property manager before making any concrete decisions as they may have suggestions for improvements that would be worthwhile to make. You should also consider whether it’s time to sell the property, move back in, redevelop or pull out any equity. If you are intending to do any of these things, it’s worth considering it a couple of months in advance of the end of the fixed term lease so you can have the choice of vacant possession and the appropriate notice be given. Coming to the end of the tenancy, you should be keeping a close eye on the advertised market rent for local properties compared to what you are currently charging. If you think your rate is too low, speak to your property manager about arranging an increase. Notice periods apply in all states and usually rent increases are not allowed in agreements unless explicitly stated. Even at the end of a fixed lease, tenants are required to have been given two months notice of any increase in rent. It must be more than six months since the last increase to be valid.